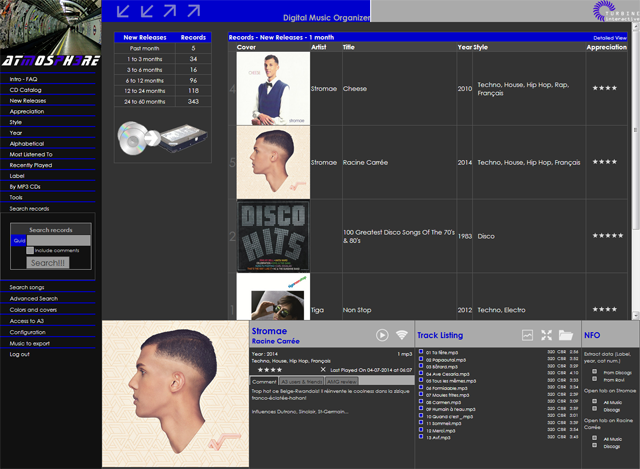 Discs are shown only by their sleeves and covert art. 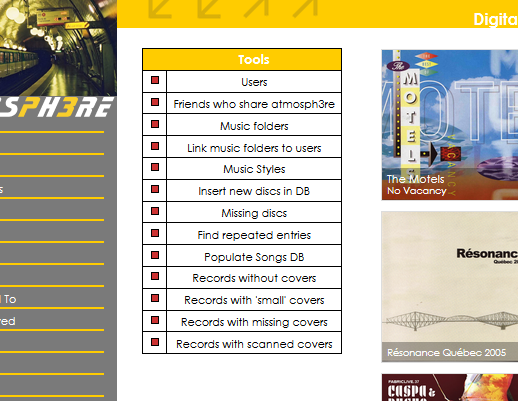 No other detail is found on this page. 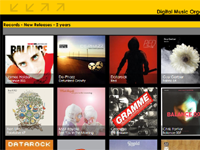 Just like browsing a real record collection. 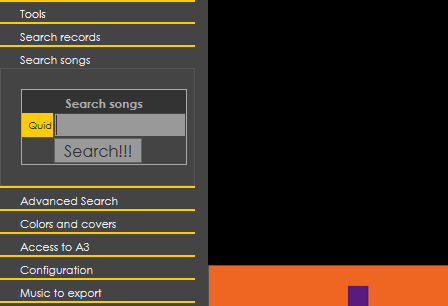 This tool searches by artist name, album name and within comments. 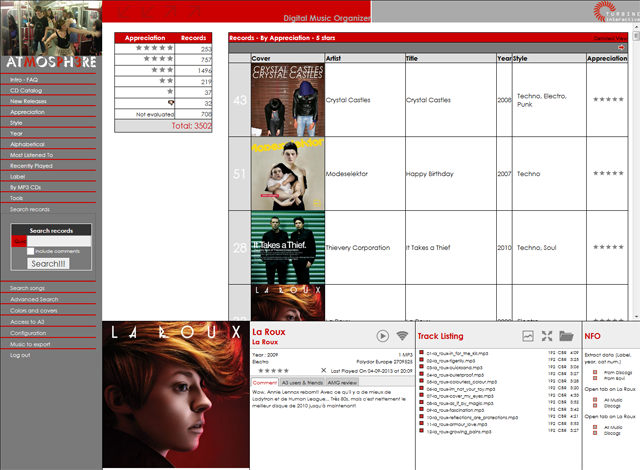 Discs are displayed in rows, their sleeves on the left, with columns for artist name, album name, release year, music style and appreciation. 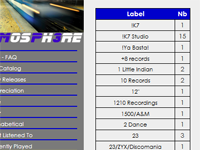 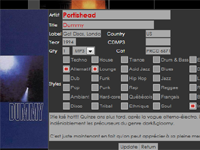 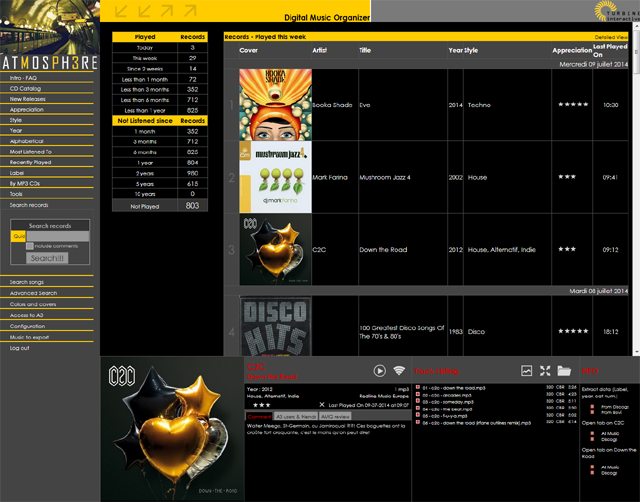 This portion of the screen shows all available info for one album, with the 'Play' and 'Stream' buttons. 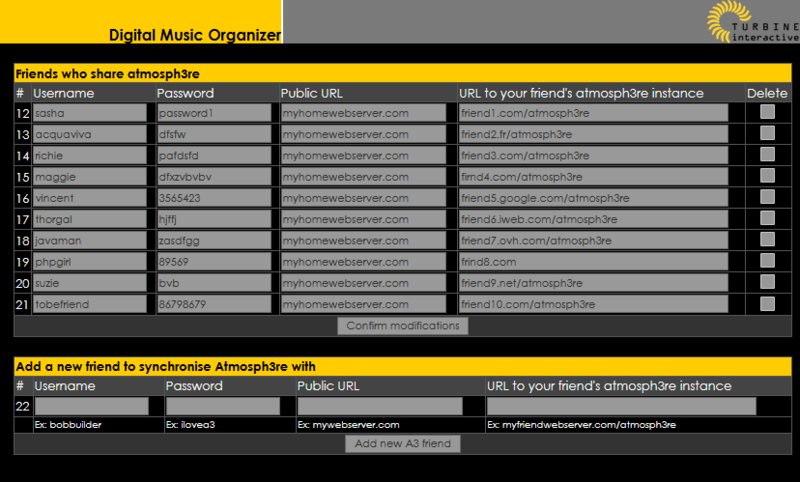 List of all administrative tools in atmosph3re. 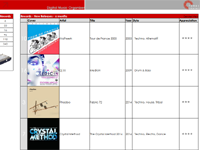 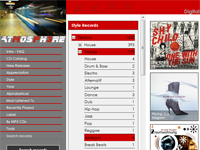 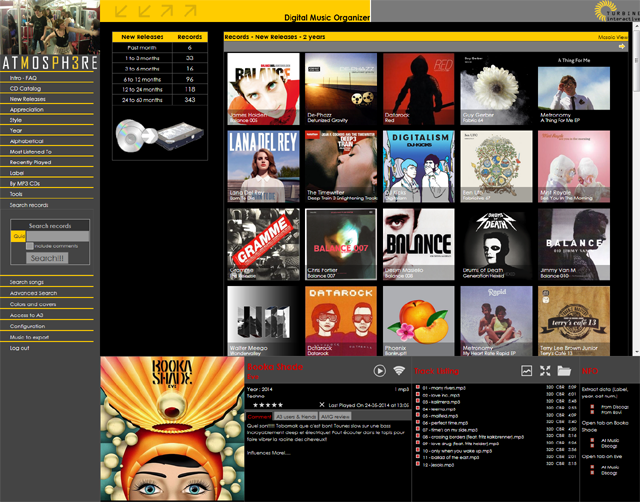 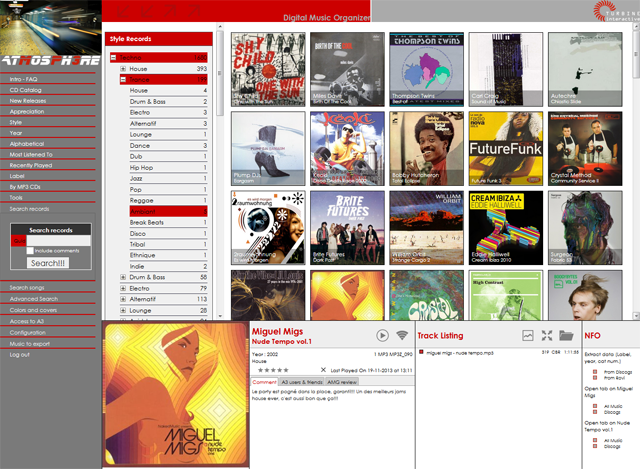 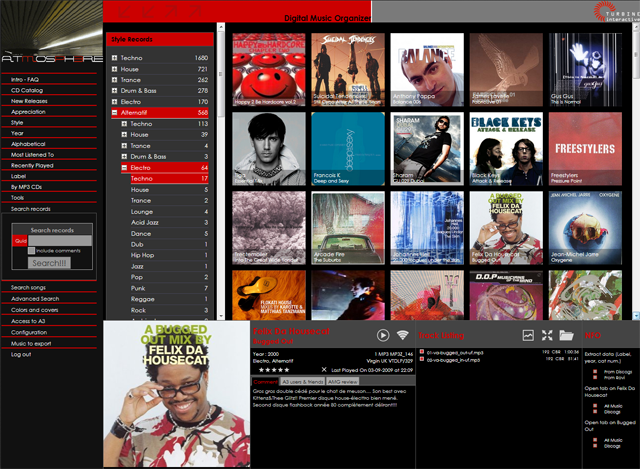 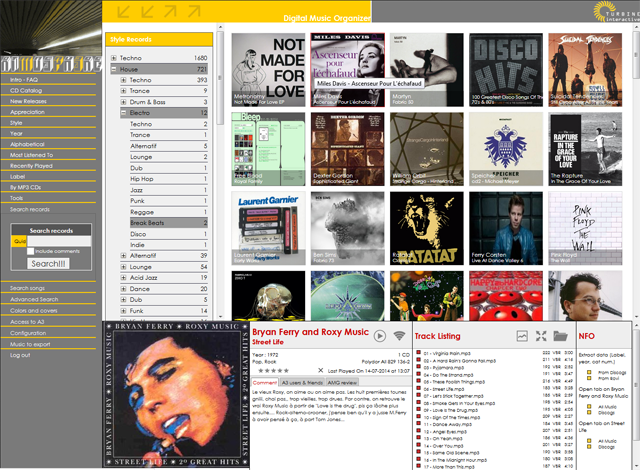 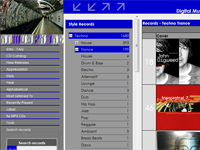 Predefined search that returns albums grouped by music styles. You can dig three levels down. 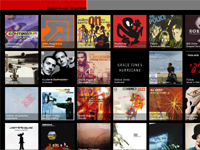 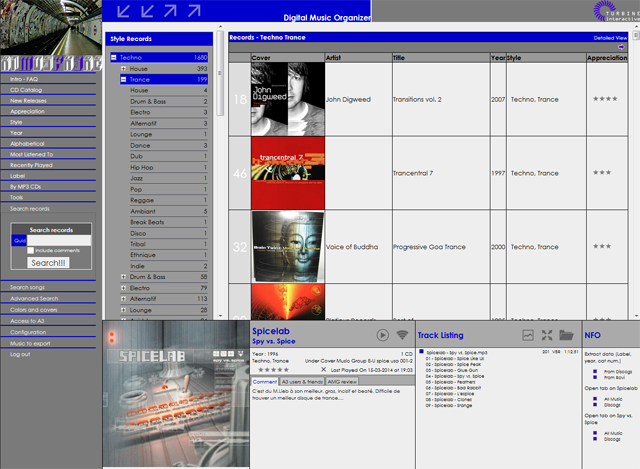 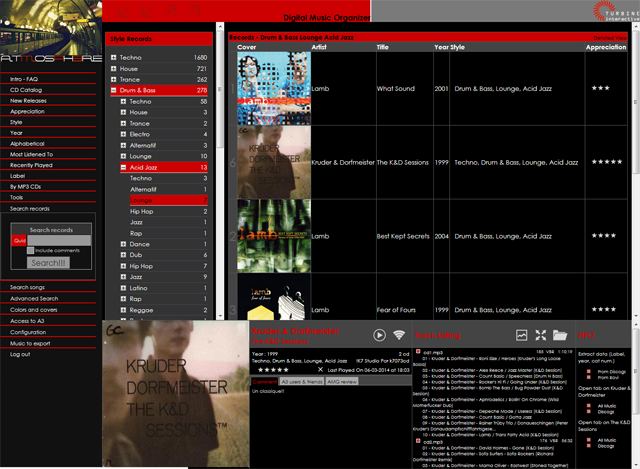 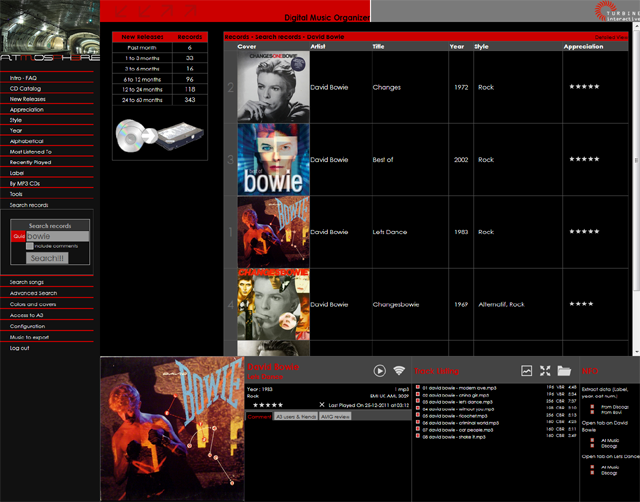 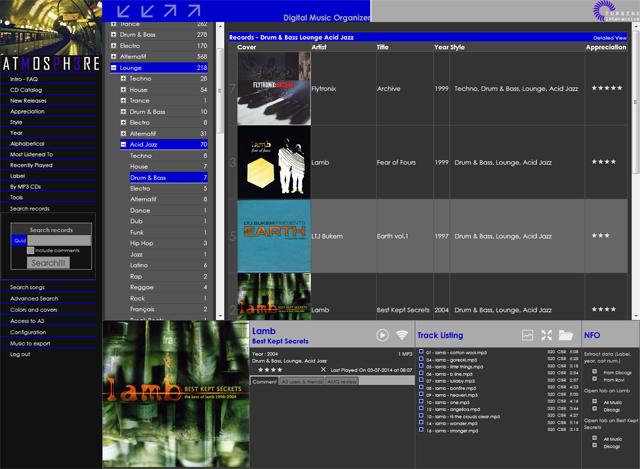 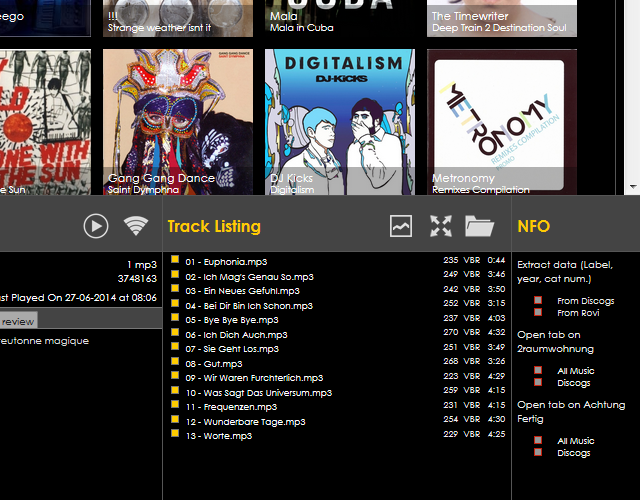 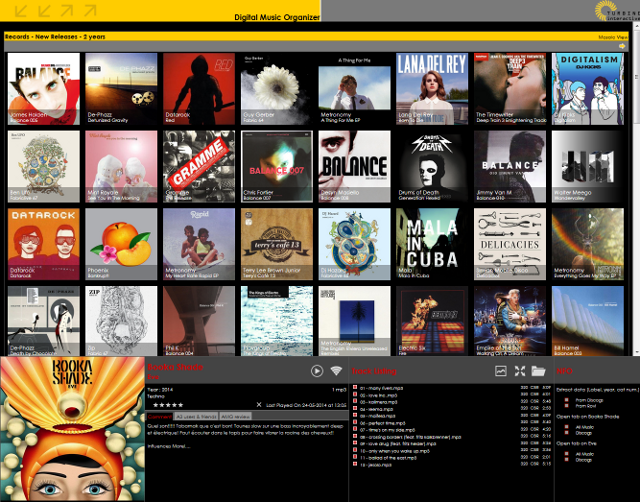 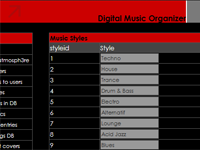 Screen for adding, displaying, and sorting the music styles for your music collection. 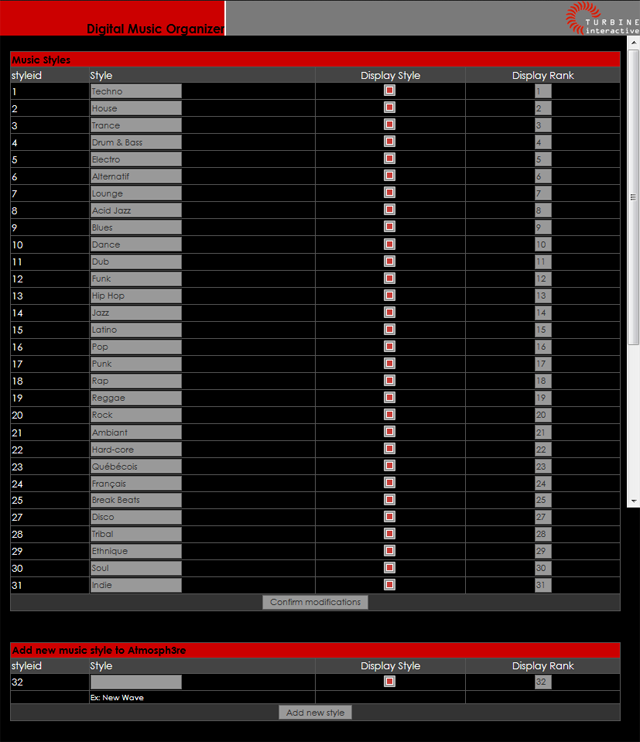 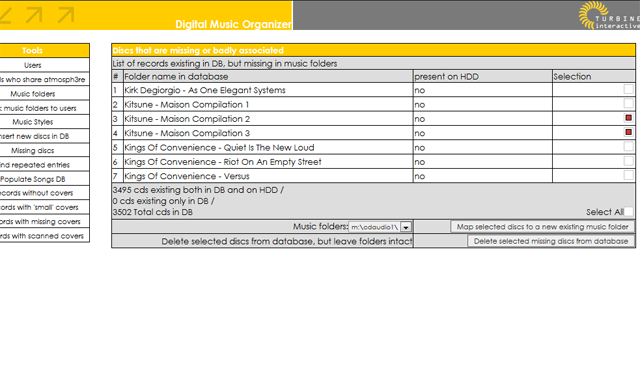 For any disc, you always get the list of all songs, and their respective bitrate and duration, if available. 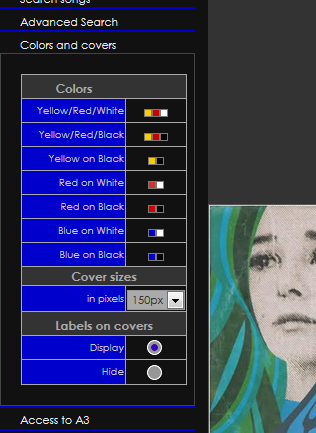 One of six popular color scenario. 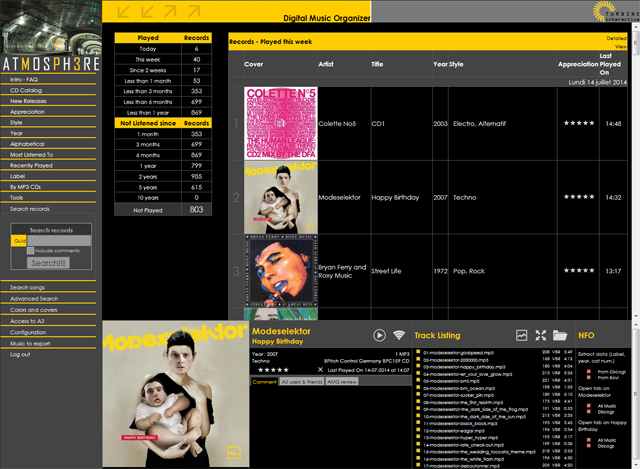 You get direct links to AllMusic and Discogs for the artist name or the album name. 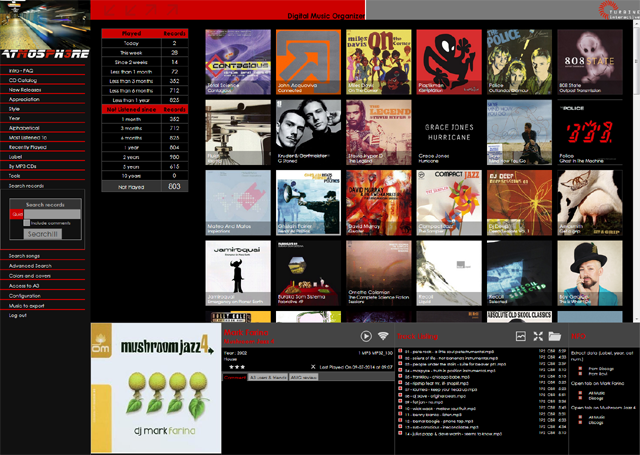 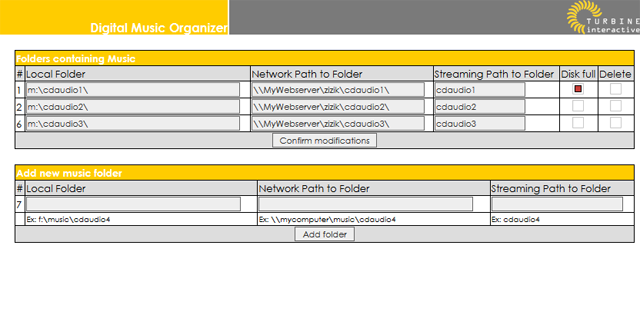 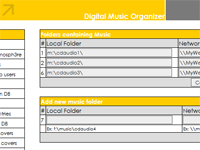 This screen allows you to add and manage the musical folders that will be scanned for music by atmosph3re. 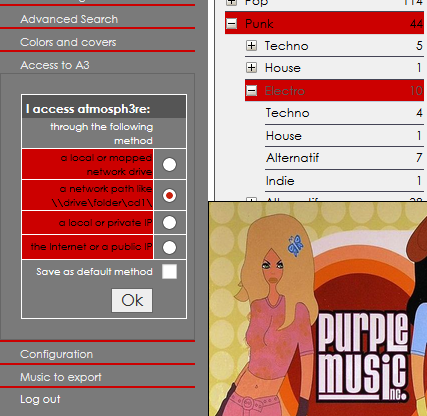 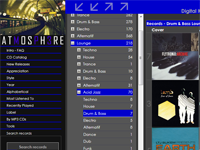 This tool allows you to change the way you access your music in atmosph3re. 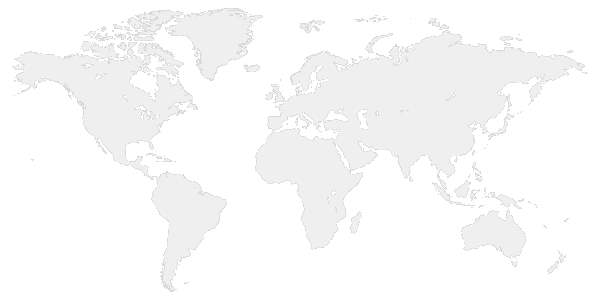 If local access does not work, you can always switch to internet access. 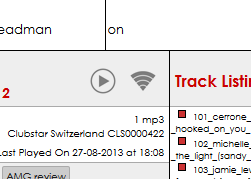 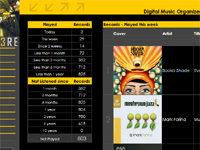 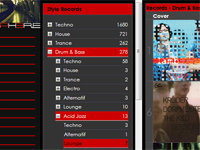 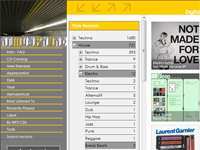 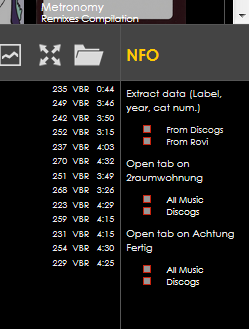 You can show/hide the main and sub navigation with these arrows, to display more records on smaller screens. 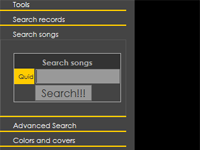 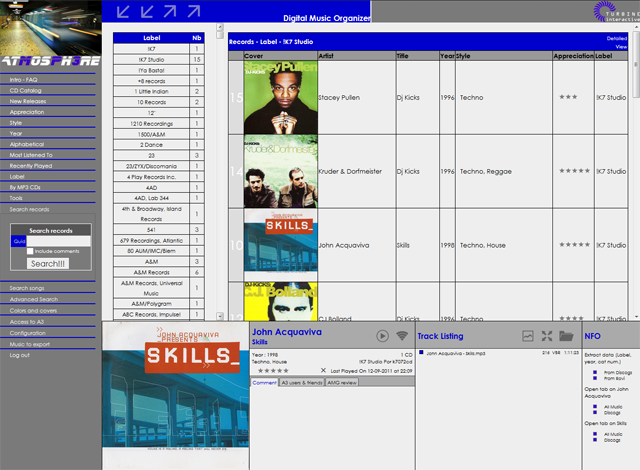 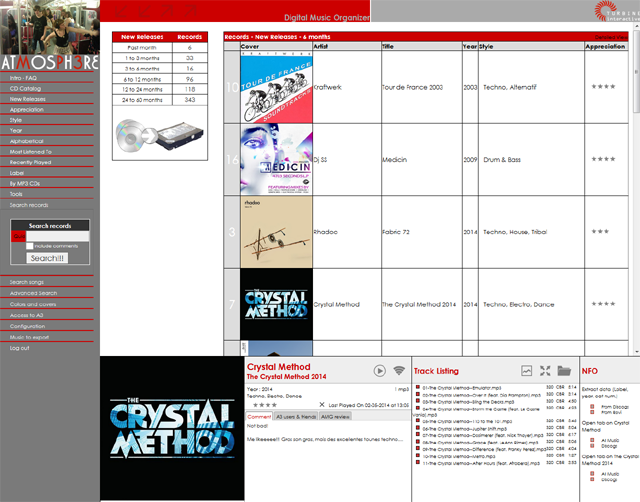 This tool searches for any song that matches your criteria, either in the song filename, or its associated m3u file information. 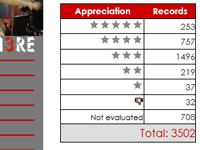 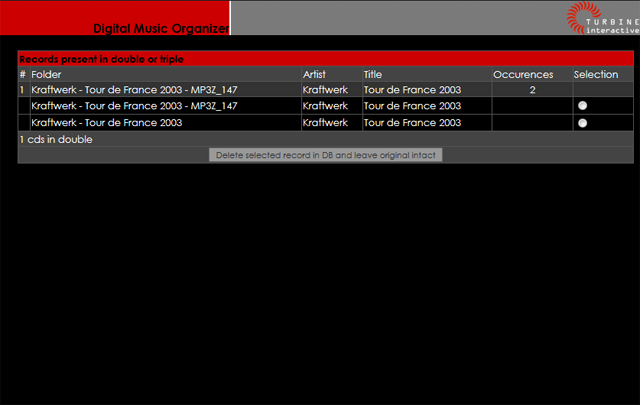 Tool that shows discs you may have more than once in your collection. 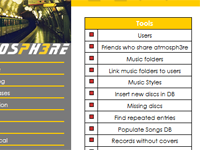 Deleting an entry only affects atmosph3re database, it does not delete the folder. 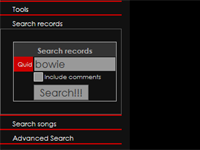 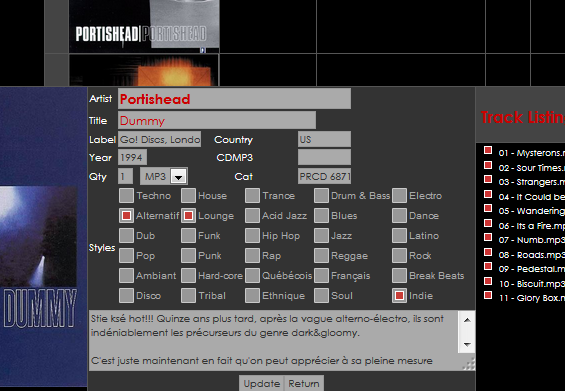 Predefined search that albums grouped by record labels, if available. 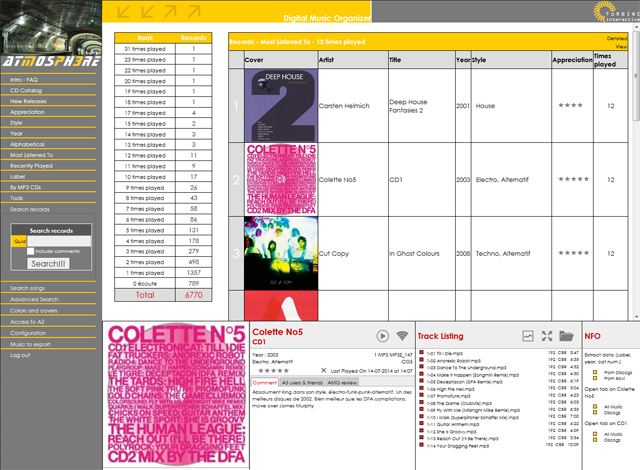 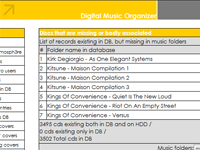 This tool allows you to check whether any disc present in the databse are missing in your musical folders. 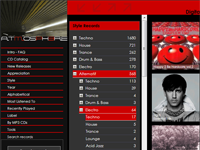 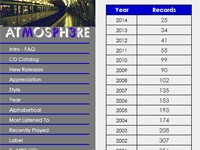 View of atmosph3re with main and sub navigation collapsed, to display more records on smaller screens. 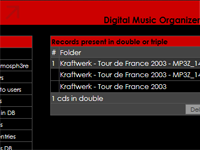 Clicking on one of these will start playing a disc in your music player. 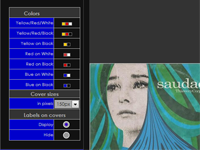 Tool for changing the appearance and color scheme of atmosph3re. 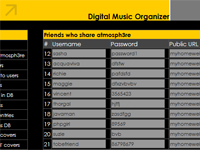 This page list all your friends who have a remote access to your atmosph3re instance. 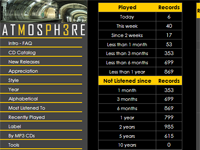 Gives you the list of all played discs, in reverse chronological order. 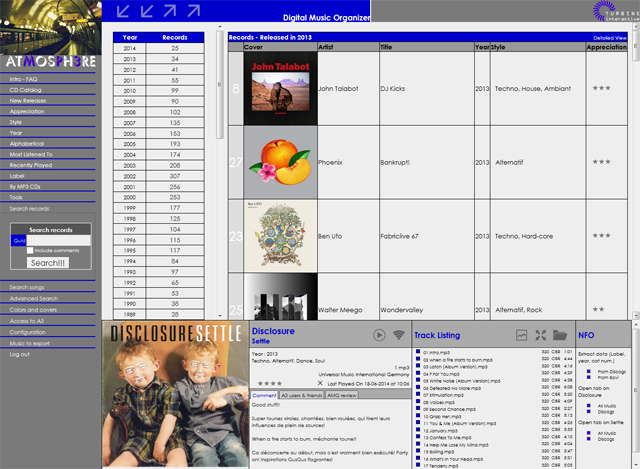 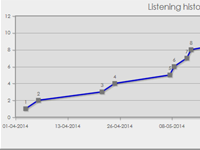 Predefined search that sorts albums according to their listening dates. 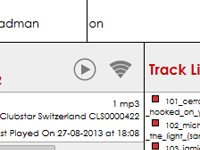 You can backtrack records from last week until five years ago. 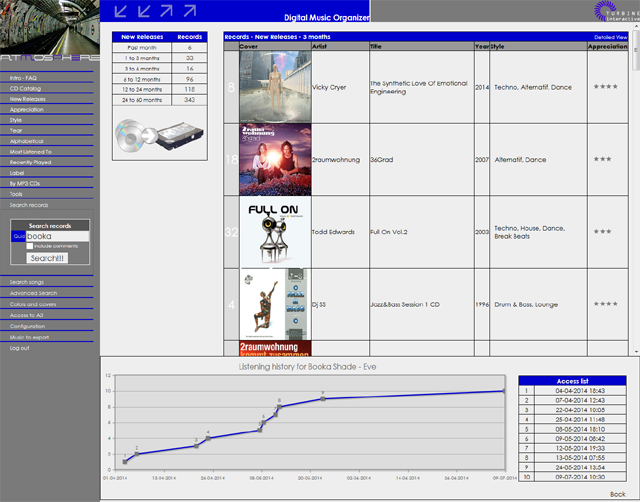 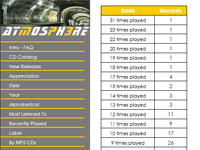 Graphic showing all listening dates for a particular disc.